By now y’all should know my families love of pumpkin recipes. If not, well, just know that we LOVE them! There’s so many ways you can incorporate pumpkin into your cooking and baking to come up with delicious foods! This past weekend we whipped up one of our favorite muffin recipes, these amazing Pumpkin Chocolate Chip Muffins – a great breakfast or snack for the whole family to enjoy. For those that have been following here for awhile, you may remember our original Pumpkin Muffin recipe, or maybe our Pumpkin Breakfast Scones. 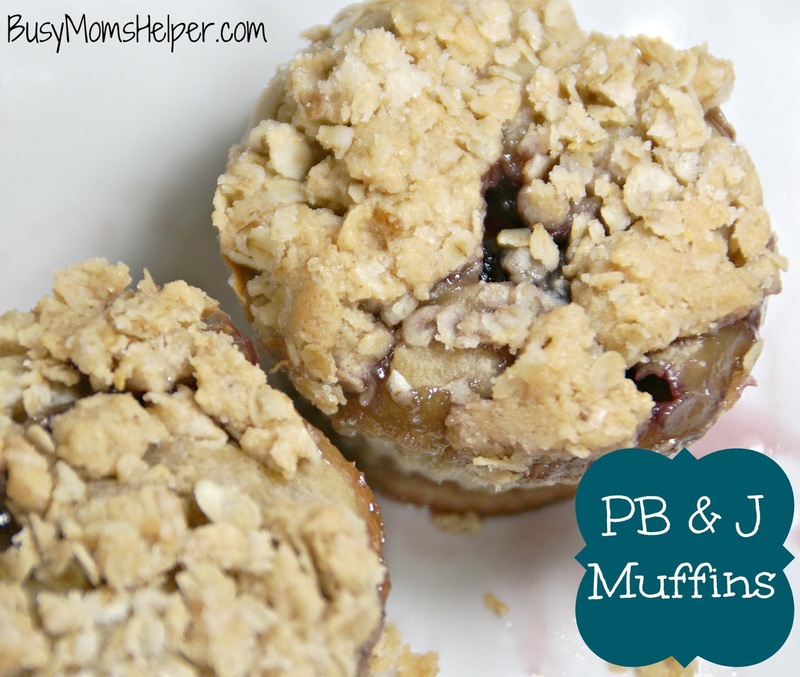 Both are still super yummy and a great breakfast or snack option! This new recipe is a bit different, resulting in a bit more ‘creamy’ to the muffins. My kiddos gobbled these up so fast, I was tempted to make another batch that same day! They’re PERFECT for a good, filling breakfast or for an afternoon snack. Plus, of course, easy to make in a hurry. Preheat oven to 350 Degrees F. Spray or line your muffin trays, set aside. In a large bowl, mix the eggs, butter, pumpkin, sour cream, vanilla and sugar. Add in the baking powder and salt, then slowly add the flour until well-combined. 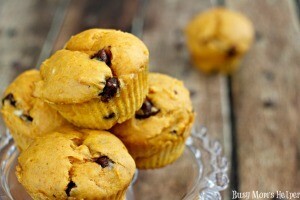 Stir in the pumpkin spice and chocolate chips to taste. Fill the muffin cups 2/3 of the way full. Bake for 25 minutes or until done. Allow to cool a bit before serving. You’ll love the pumpkin flavor and moistness in every bite, plus the chocolate is a good way to start any day, if you ask me! Remember earlier when I told you I was going to share some fabulous recipes that were super easy to whip up with Martha White® Baking Mixes as a base? Well here you go – 3 Tasty Breakfasts in 30 Minutes! Spend just half an hour baking and you’re set for days – and the best part? They don’t HAVE to be breakfasts! Use them for snacks, lunch, whatever you want. Woot woot! Preheat oven to 425 Degrees F, spray or line a round cake pan. Mix the baking mix, heavy cream and lemon juice. Spread into the prepared cake pan and bake for 22-26 minutes. For the glaze, whip the 3 ingredients and pour over your finished scones. Enjoy! Preheat oven to 425 Degrees F. Spray or line a cake pan – I used a round angel food cake type pan for fun. Mix all of the ingredients together well, pour into prepared pan. Bake for 16-22 minutes. Serve warm for gooey, cheesy yumminess! Preheat oven to 425 Degrees F. Spray or line muffin tins. Mix the muffin ingredients and bake 10-15 minutes. Mix the chicken filling together – it’s all to taste, so the amounts just depend on what you prefer. Cut each muffin in half, add some chicken mixture, then close and enjoy the sandwich! I know school has only been in session a couple months, but it feels like a lot longer! I actually enjoy the school year, aside from the rushed mornings dealing with making lunches, getting everyone ready, and breakfast. My kiddos really like cereal, and I’m all for easy mornings….but it gets old day after day! 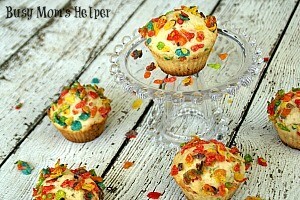 I wanted a fun new way they can enjoy their cereal, preferably in a more healthy way, and these Fruity Pebbles Muffins were just the ticket! 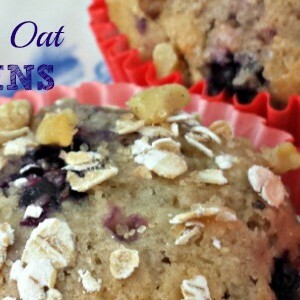 Not only do they get to have one of their favorite cereals, but also a filling, healthy muffin at the same time! I may have had a couple (or more!) myself, because I’m totally in love with Fruity Pebbles! They’re really quick to make, too. Just whip them up, stick them in the oven, and while they’re baking you can get a few other morning tasks done! Or make them the night before, store in an airtight container, then pull them out really fast in the morning….super easy! 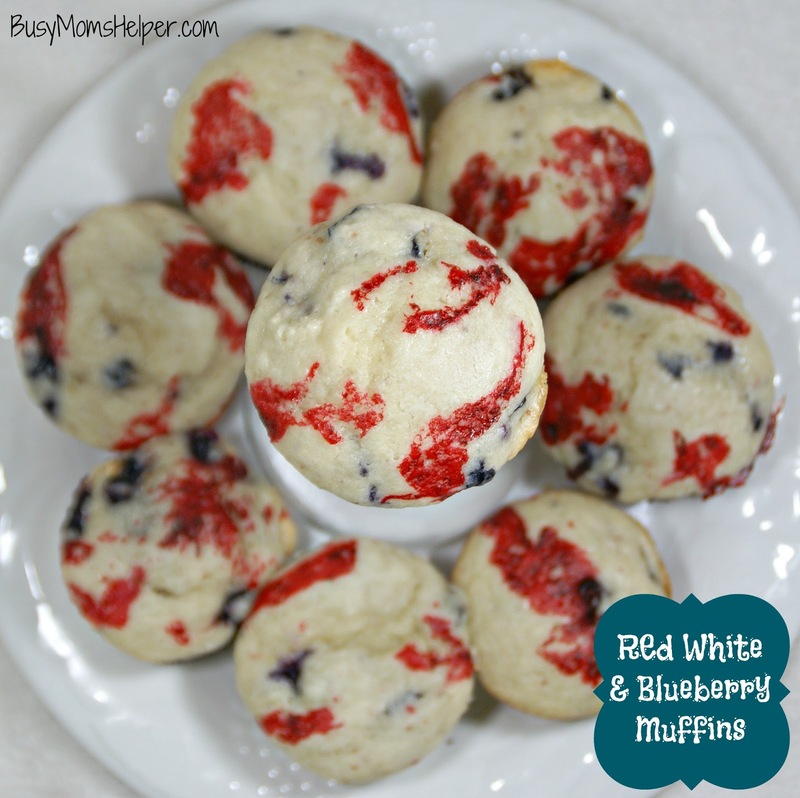 Look at all those colorful, tasty bits of goodness in these muffins! Now THAT’S a good breakfast: easy, cute, fun AND delicious! Preheat oven to 375 Degrees F. Spray or line a muffin tin, set aside. Combine all of the ingredients (except cereal) until well-mixed. Gently stir in the fruity pebbles. Scoop into the muffin tins, then sprinkle a bit more cereal on top. Bake for 15-25 minutes, or until barely starting to brown on the edges. 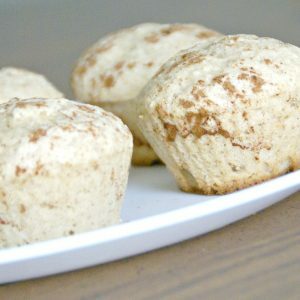 What are some cereal-type muffins YOU have tried and loved? Remember my muffin fetish? Yep, I’m at it again! With all the A-MA-ZING sales on strawberries lately, I had to try Strawberry Muffins. HUGE hit with my family, and we made enough to enjoy them as a healthy snack over the weekend, as well! Look at those delicious ripples of strawberry goodness! These are so fresh and with a splash of that juicy-ness, it’s like a bite of summer. Plus, quick and easy (the only way to do mornings) – double win, right?! 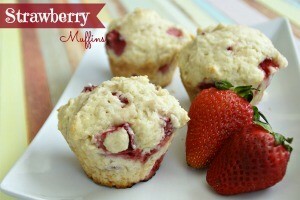 Give these Strawberry Muffins a try yourself, or even substitute your favorite berry and see how awesome it turns out! Remove the green stems from the strawberries, wash and chop. Set aside. Preheat oven to 375 Degrees F. Spray or line two 12-cup muffin tins. Set aside. In a bowl, combine the Olive Oil, Milk and Eggs. In a separate bowl, mix the Salt, Baking Powder, Sugar and Flour. Add to the milk mixture and stir until well-mixed. Gently add the strawberries and mix in carefully. Fill the muffin cups about 3/4 the way full, then bake for about 25 minutes. Notes: I recommend storing leftovers in the fridge, to keep the strawberries fresher longer. It’s raining muffins! Okay, not really, but some morning sit feels like that. My kids eat TONS of them, each, so I make a bunch. At least they’re getting a full belly to start their day off right! 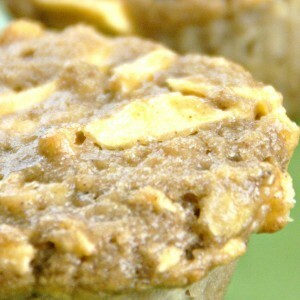 We tend to get a lot of apples, so a fun way to use them is making these Apple Strudel Muffins! Preheat oven to 350 Degrees F. Spray or line a 12-cup muffin tin. In a bowl, combine the Salt, Cinnamon, Egg, Brown Sugar, Applesauce and Vanilla. In a separate bowl, mix the Flour, Baking Soda and Baking Powder. Add to Applesauce mixture until well combined. Add just a little of the mixture to each muffin up, about 1 tbsp. Just enough to cover the bottom a bit. Add the Nutmeg and Apple bits to the remaining mixture until the apple pieces are well covered. Fill the muffin cups the rest of the way. Bake for 20-30 minutes, or until done. For a little extra on top, you can crumble some brown sugar before baking! So going back to my muffin habit, these are FABULOUS – I mean, look at that caramel. Yumm-o! 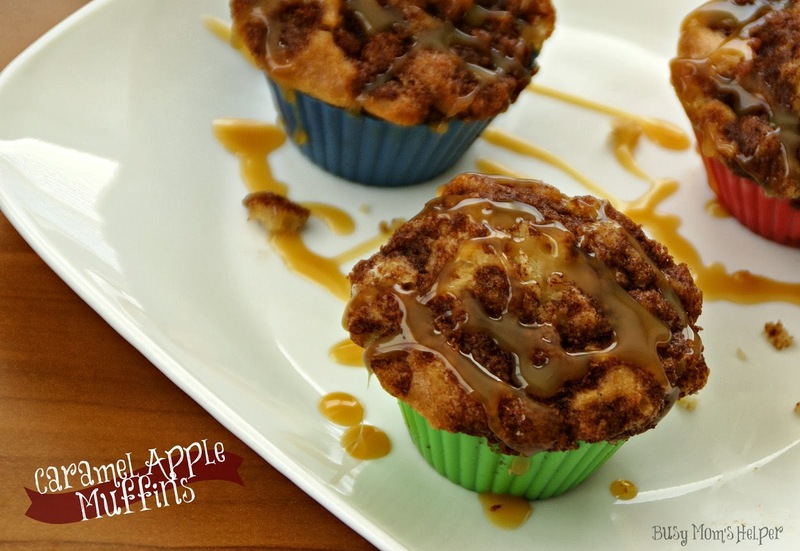 (I totally just heard Sid from Ice Age Continental Drift) Seriously, though, these Caramel Apple Muffins will have you drooling from baking to eating! Use a fork to ‘smoosh’ all of the crumble topping ingredients together. Until crumbly – obviously. Set aside. Preheat oven to 350 Degrees F. Line or spray a 12-cup muffin pan and set aside. Save apple for last. Combine the dry muffin ingredients together in a bowl. Set aside. 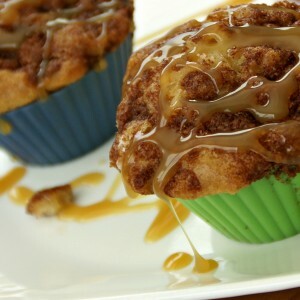 In another bowl, combine the wet muffin ingredients (not caramel). Add to dry bowl and mix until well combined. THEN add the apple, carefully mixing in so it’s well combined. Fill the muffin cups 3/4 of the way full – or almost all the way if you want them puffy on top like mine. Sprinkle the crumble topping evenly over the muffins. Bake for 20-30 minutes, or until muffins are done, springing up when pressed lightly. Cool for about 15-20 minutes, then drizzle with Caramel topping. *You can use this as a substitute for Buttermilk: 1 cup Milk with 1 Tbsp. Lemon Juice OR White Vinegar. Stir, then let sit for 5 minutes. Okay, so some have said I have a bit of a muffin fetish. I’m here to put the record straight – it’s completely TRUE. 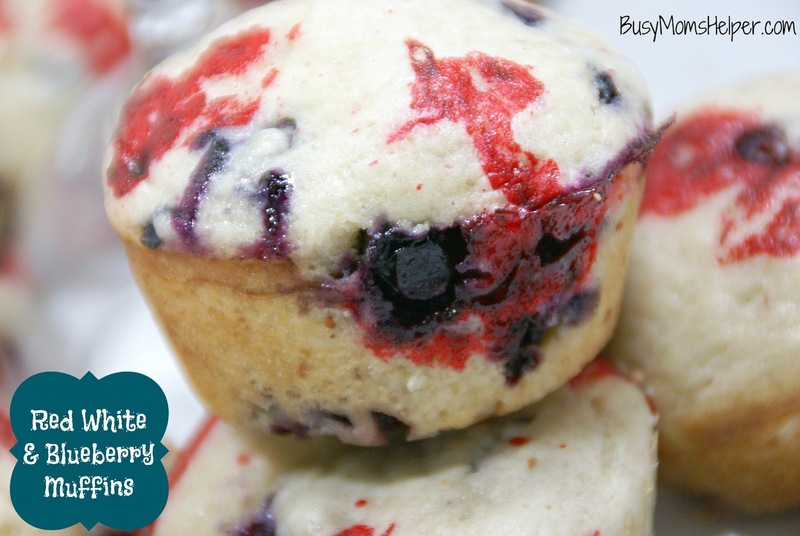 I really love muffins, especially when they’re just so easy to make, and so easy to vary it up! 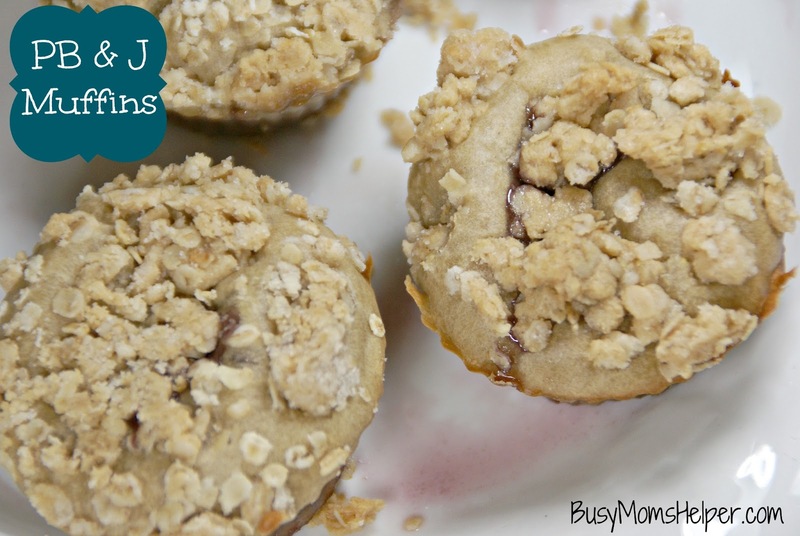 When doing my meal planning for the week, I almost always have muffins on the menu. Honestly, though, I often don’t decide WHAT muffins until that morning! It’s fun to just see what we’re in the mood for, what ingredients we have, you know – be ‘spontaneous’. On that note – I also love flavored lemonades! 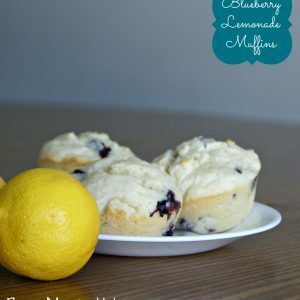 So this particular morning, we happen to have some lemons and blueberries, so my choice attempt of the morning: Blueberry Lemonade Muffins! Preheat oven to 350 Degrees. 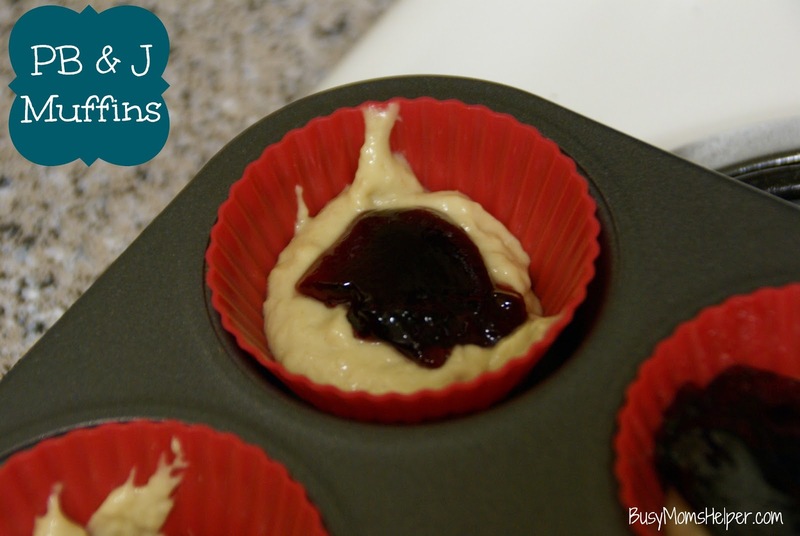 Spray two 12-cup muffin tins, or line with baking liners. Set aside. In a large bowl, mix the Flour, Baking Powder and Salt. Add the Blueberries, tossing lightly to coat. In a separate, medium bowl, whisk the Eggs well, then add the Sugar and continue to whisk briskly until it’s thick and well-incorporated (about 45 seconds). Add the melted Butter, Sour Cream, Lemon Juice and Vanilla; mix until combined. Add the wet mixture to the flour mixture and stir together carefully. Batter will be very thick. Scoop the batter into the muffin cups. Bake about 25-30 minutes or until a toothpick inserted comes out clean. 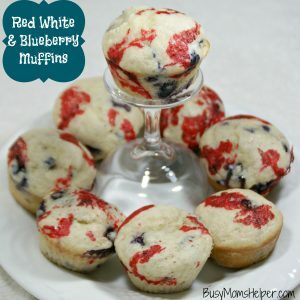 Check out these other delish muffin recipes!!! I’m not a fan of cereal. Now, don’t get me wrong, I would eat all that sugary goodness multiple times a day if calories, cavities and health weren’t a factor. It’s just not the healthiest (at least the kinds my kids enjoy aren’t), and doesn’t keep them full as long. Muffins. Are. Amazing. Seriously! You can take a good base recipe and just switch it up a bit for a whole variety of new flavors. Woohoo for fun breakfast! So the other day, in a muffin-making mood but wanting something different, I decided to do some Spice Muffins. We love pumpkin and spice and all that, and I’m trying to get into the fall mood (and not skipping straight to the holidays, although that’s my urge). These turned out fantastic, and you can just add more or less of the spice to fit your own preference. Booyah!!! Preheat oven to 350 Degrees F. Spray two 12-cup muffin tins, or line with baking liners. Set aside. In a large bowl, combine all of the ingredients until well-mixed. Batter will be thick. 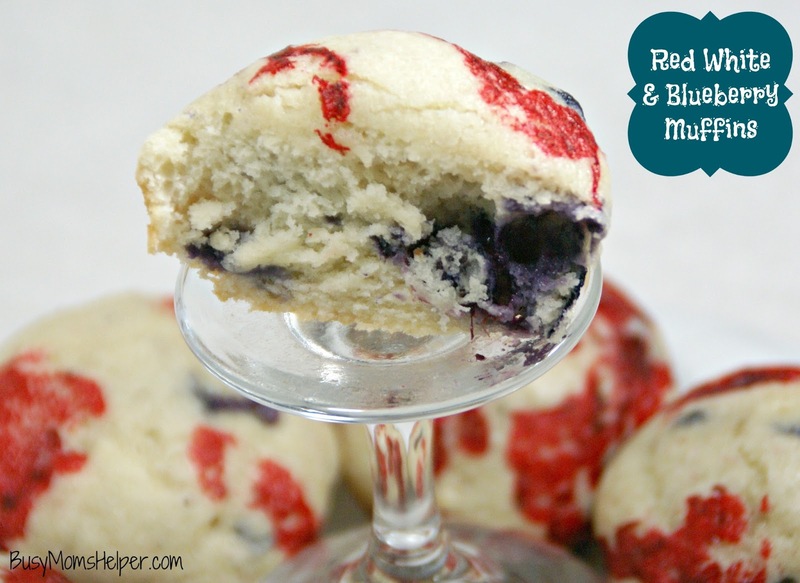 Scoop the batter into the muffin tins. Sprinkle a little Pumpkin Spice on top of each. Bake 25-30 minutes, or when a toothpick inserted comes out clean. Notes: You can add more or less Pumpkin Spice, depending on your own tastes. Makes 24 large muffins. Do your kids love PB & J sandwiches? Mine DEVOUR them….it’s like an absolute favorite no matter how recently we’ve had it, or how often. I don’t mind them, but come on, there’s a limit to how many I can eat, and especially how many I can MAKE! 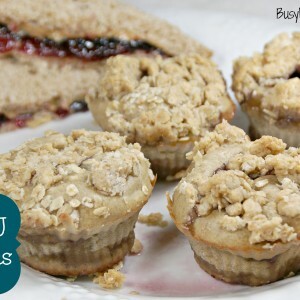 In my never-ending struggle to find creative, inexpensive and EASY lunches for the kids….that they ALL enjoy…I decided to try PB & J in a different form: MUFFINS. I found these WONDERFUL recipe from Edible Perspective, and just changed some for my own family’s preferences. Preheat oven to 350 Degrees. Spray a 12-cup muffin tin, or line with muffin liners. Set aside. In a large bowl, mix all of the dry muffin ingredients. In a medium bowl, mix the Peanut Butter, Honey and Butter until smooth. Add the remaining muffin ingredients EXCEPT THE JELLY and mix until well combined. Pour the butter mixture into the dry mixture and stir until just combined. Pour enough batter into the muffin cups just to cover the bottom. Top with 1-2 tsp. Jelly, then cover with more batter until cups are 2/3 of the way full. Make the crumble topping: In a small bowl, mix the Peanut Butter and melted Butter until smooth. Add the rest of the crumble ingredients and MUSH together with a fork until crumbly. Sprinkle the crumble topping on top of the muffins. Bake for 20-30 minutes, or until a toothpick inserted comes out clean – keep in mind to stick it in the edge, as to avoid the jelly. Look at that yummy jelly center – ooooh, yummy! 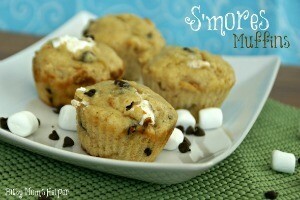 The kids absolutely LOVED these, and are now asking for these even more than the PB & J sandwiches!!! Just a Note: due to vacation and moving, new posts will be posted Monday, Wednesday and Friday, with an occasional ‘BONUS’ post. Thanks for allowing me this time with my family! So I’ve seen about a million 4th of July posts lately: the colors, the fireworks, the USA pride…but it just hasn’t hit me how CLOSE that is. I mean, this week!!! I kept thinking ‘oh, I’ve still got time to get all celebrate-y’. Eeeeeek! So this was our breakfast yesterday, to get us in the spirit of the week – and it’s such an easy one! (I say easy, really I mean it was almost a cheat how easy it was to make this patriotic). In a separate, medium bowl, whisk the Eggs well, then add the Sugar and continue to whisk briskly until it’s thick and well-incorporated (about 45 seconds). Add the melted Butter, Sour Cream and Vanilla; mix until combined. Scoop the batter into the muffin cups. 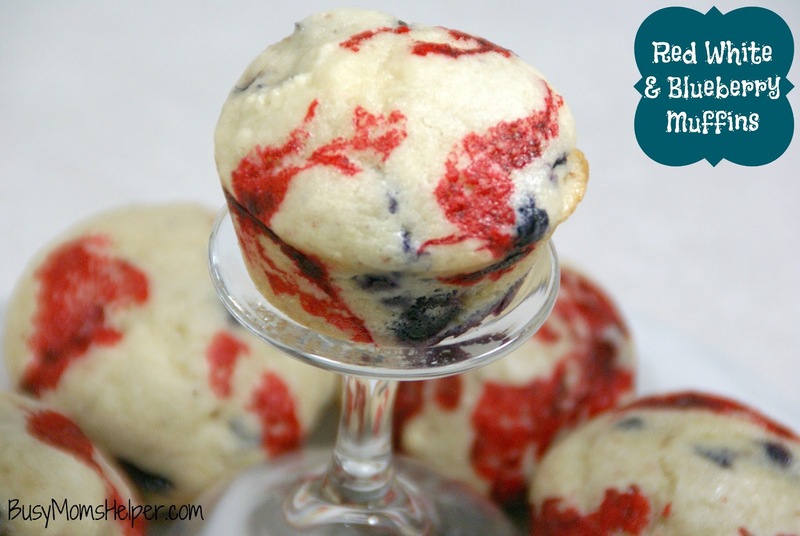 Do about 3 randomly-placed drops of red food coloring over the tops of the muffins. Bake about 25-30 minutes or until a toothpick inserted comes out clean. 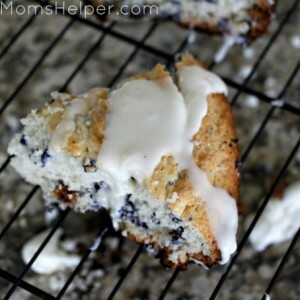 Look at all of that ooey-gooey Blueberry wonderfulness!!! Delish!! !